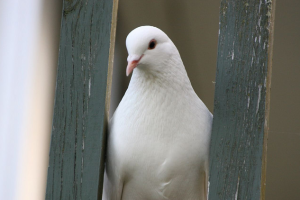 I wrote the poem "White Pigeons" while still in Ojai. There is a coop nearby my parents' house. Re-reading the poem from my office in Soho makes me homesick for a place that now seems so far away as to almost have been imagined. It is, for me, a pleasant kind of haunting. Enjoy the poems. Categories: Poetry and Publications. Tags: London and Ojai. Poets: Boyd W. Benson, Cameron Scott, Marvin Bell, and Peter Sears.